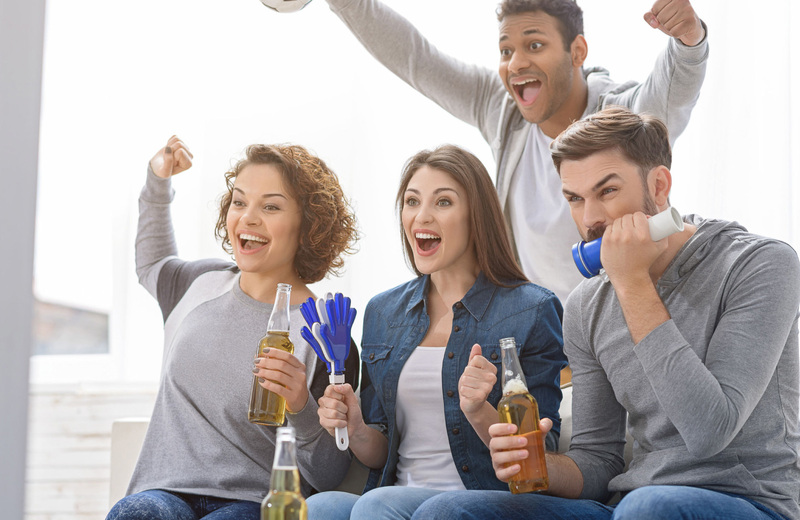 The countdown for Super Bowl LIII is on, and if you’ve got a place of your own for rent in Bellevue, chances are, come February 3rd, you’ll be inviting some company to sit with you and watch the game. A Superbowl Party is nothing without some good eating and drinking to go along with it, though, so to help you prepare, we’ve assembled our list of tip picks when it comes to fine football party food. With these ideas, and your party will be the talk of your circle for weeks to come. When you think of a Super Bowl Party, what sort of snacks do you envision? Some quick-and-easy finger food? Delicious sliders? Maybe an ample vegetarian spread? The truth is, all those and more can be part of your Super Bowl party food lineup, all you’ve got to do is look for a few options below that catch your eye and start planning. Now, there’s little (if anything) more classic for a big football party than chips and dip. Instead of doing the same old thing with stale chips and lackluster dip, however, why not upgrade this legendary combination to something a bit more substantial? The first thing you’ll need to do is prepare your own tortilla chips. Now, this might seem like a Herculean Labor if you’ve never done it before, but the process is actually fairly simple, according to Simply Recipes. Whether you decide to bake them or fry them, all you need to make your chips are tortillas and some, neither of which should be in short supply! With your chips in hand, you can proceed to making some awesome dip, and, as for our recommendation today, we’re picking the sumptuous flavor of Nacho Beef Dip. Melty, creamy, and just a hint of salsa and spice makes this a perfect partner for your chips, and should satisfy most — if not all — of your football loving guests. Save for the vegans and vegetarians among us, who doesn’t like a hearty meatball? For your Super Bowl party, you can up the ante by pairing your meatballs with the tangy taste of pineapple and tequila. The aptly-named Pineapple Tequila Meatballs only take four ingredients to make, but their flavor is is complex (and boozy) enough to satisfy any meat lover’s palate. Just grab your favorite kind of meatballs (Swedish, Italian, you know the drill) and slow cook for a few hours with your flavoring ingredients. By the end, you’ll have a crowd pleasing mountain of meatballs that didn’t take you much in the way of planning or effort to make. This one is great if you’re scrambling for ideas at the last minute. Did you think we forgot about our vegetarian brethren? Not a chance! This delicious Veggie Mac & Cheese will ensure they’ve got plenty to eat during the party too, and even non-vegetarians will want to sample all of its creamy goodness. The particulars of baking a pan of macaroni should be well-known to any adult old enough to live on their own, but if you happened to miss that particular lesson from mom growing up, be sure to follow the instructions in the recipe closely and you should be able to hit the mark. This take on the classic that is mac & cheese adds just enough variation to be unique without going so far out to left field that no one will want to try it. Be warned, though, it’s delicious, and you should keep your non-vegetarian friends from devouring everything before your vegetarian friends have a chance to have a bite! There’s something about taquitos that feels so right at a Super Bowl party, and just about any taquito can be made to taste that much better when you add some delicious pork to the equation. Enter these delicious Pulled Pork Taquitos, blending the juicy goodness of slow-cooked pork with the warm, soft shell of a delectable taquito. Make sure you cut up plenty of pig and get a big bag of tortillas for this recipe, otherwise this snack will be gone before you can blink your eyes. Perhaps the best thing about this recipe is how easy it is to prepare your taquitos. Just wrap your meat in your tortillas, brush with some oil, and bake? It’s impossible to mess up taquitos, and the proverbial return on your investment will be well worth the rather meager amount of time and energy you put into making these. Throwing some meat on a stick and letting it cook is about as basic as it comes, but you can up the ante on this simple formula by adding some barbeque to the mix. It might take a bit of experimentation to get your sauces and spices just right, but once you do, you’ll be able to create some of the tastiest BBQ Steak Kebabs you’ve ever tasted. Try not to overgrill the meat, since you’ll want these to be easy to bite into for your guests. You might also want to try experimenting with vegetables to add to your kebab creations. Skewers, while they can be solely meat-based, usually taste a lot better when you add some variation in the form of peppers, onions, and the like. Either way, though, this should be another party item your guests can’t get enough of. That shouldn’t be hard when you’re living at Hyde Square. The sleek, urban aesthetic of these residences makes for happening party atmosphere no matter what kind of event it is you’re hosting. Being tucked away in one of the most scenic parts of Bellevue only adds to the mystique, and creates the perfect backdrop for whenever you have company. Ready to make one of these amazing apartments yours? Check out what Hyde Square has to offer, learn more about our availability, and experience the best of living in beautiful Bellevue.